Description: No marks inside or out. Clean hardcover with tight square binding and sharp corners. Unclipped dustjacket with light wear and no tears. NY: HarperCollins, 2005. First US Edition with full number line, 1st printing. xix, 394 pages; illustrated, color plates. - - Wrapped, boxed and promptly shipped with tracking provided. Description: No marks inside or out. A few smudges to the page edges, otherwise clean hardcover in unclipped dustjacket with light wear and no tears. Square binding, nudged corners. NY: Farrar Straus Giroux, 1989. Stated First American Edition with no printings indicated, 1st printing. Originally published in Great Britain. xii, 465 pages,  pp. of b&w plates. Endnotes, bibliography, index. - Biography of the English writer (1896-1967). 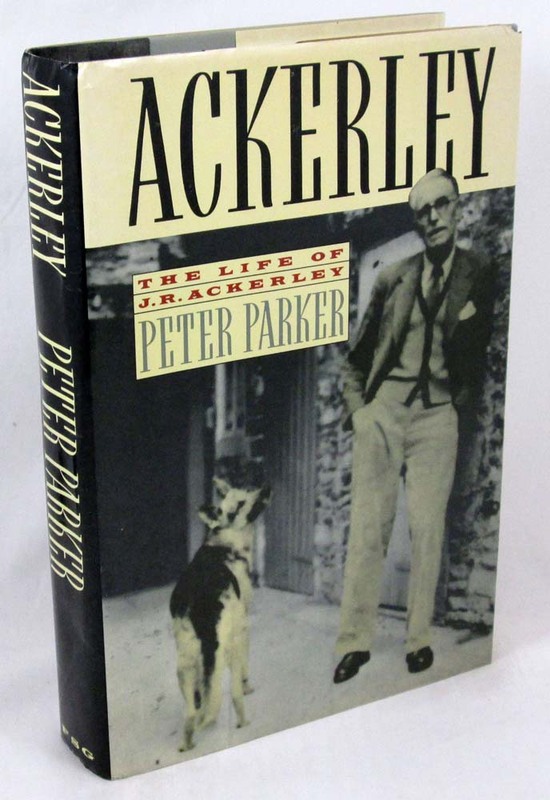 "Parker's engaging, frank, and moving narrative of Ackerley's public and private life is an engrossing and provocative portrait of a singular man who is coming to be appreciated as a major figure in modern English letters." - - Wrapped, boxed and promptly shipped with tracking provided. Description: No marks inside or out, appears unread. Fresh, clean hardcover with tight square binding and corners. Crisp unclipped dustjacket with negligible wear and no tears. NY: St. Martin's Press, 1988. Stated First Edition with full number line, 1st printing. 197 pages. - - Carefully packed and promptly shipped with tracking provided. Description: No marks. Fresh, clean hardcover in crisp dustjacket. Binding tight and square, corners sharp. NY: Facts on File, 1994. xii, 99 p. - Bruccoli was the preeminent expert on F. Scott Fitzgerald. He also wrote about writers such as Ernest Hemingway, Thomas Wolfe and John O'Hara, and was editor of the Dictionary of Literary Biography. "Modern Classic Writers" features primary and secondary bibliographies of William Faulkner, F. Scott Fitzgerald, Ernest Hemingway, John Steinbeck, Robert Penn Warren, and Thomas Wolfe. - - Carefully packed and promptly shipped with tracking provided. Description: No marks inside or out. Clean hardcover in gray cloth with black spine lettering; tight square binding and sharp corners, no significant wear. Unclipped ($3.50) dustjacket with very mild spine sun, light wear and 1/4 inch tears to spine ends and corners, in fresh mylar. NY: William Morrow, 1952. 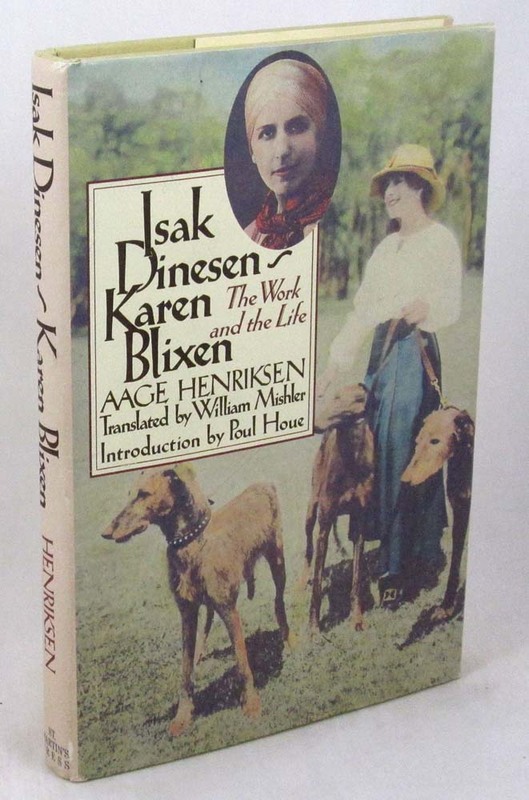 First US Edition with no printings indicated. 336 pages. Jacket design by Merle Armitage. - "Few spectator sports are as provocative and exciting as listening to one Irishman talk about another Irishman. The speaker, in this case, is the learned, vehement, keen-minded dean of London drama critics - famous, also, as a novelist and playwright in his own right. The book sparkles with Ervine's delightful sense of malice." - - Wrapped, boxed and promptly shipped with tracking provided. Description: Review copy with "Campione Gratuito" stamp inside front cover and review postcard laid-in. Fresh unmarked softcover in tan wraps, tight and square with no spine creases. Firenze: Leo S. Olschki Editore, 1988. 95 pages plus  pp. list of other publications. Bibliography, index. An Italian scholar's essay. - - Carefully packed and promptly shipped with tracking provided. Description: No marks inside or out. Clean hardcover in beige cloth with bronze lettering on black cloth binding, square binding and corners. Unclipped ($8.95) dustjacket with mild spine sun and light wear including a few microscopic tears. NY: Random House, 1968. Second printing. xii, 528 pages. - A revolution was fought in the three most important literary trials of our time - an account by the lawyer who defended the three books, and changed the meaning of our Constitution in the process. - - Wrapped, boxed and promptly shipped with tracking provided. Description: No marks inside or out, almost like new. Clean hardcover with square binding and barely nudged corners. Unclipped dustjacket with light wear and no tears. Philadelphia: Lippincott, 1972. Stated First Edition with no printings indicated, 1st printing. xiii, 322 pages,  pp. of b&w plates. - "John P. Marquand wrote polished (and immensely popular) novels of social comment and comedy about an ordered world of privilege. But John Marquand the man led a disheveled life that was far from Marquandian in pattern." - - Wrapped, boxed and promptly shipped with tracking provided. Description: No marks. Fresh hardcover, crisp dustjacket in archival cover. Tight square binding and sharp corners. 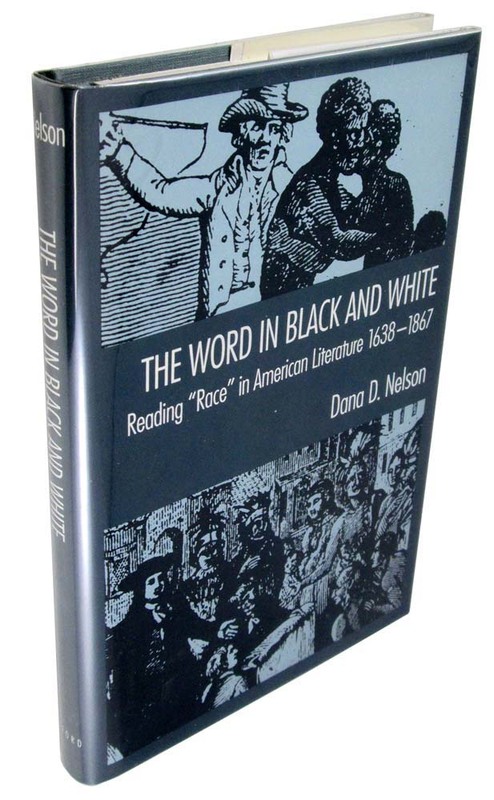 NY: Oxford University Press, 1992. xvi, 189 pages. - - Wrapped, boxed and promptly shipped with tracking provided.